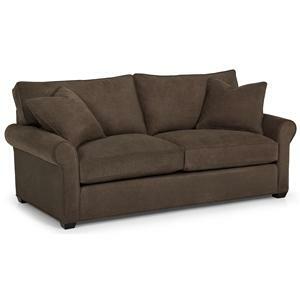 Rest in luxurious comfort with this three seat sofa sleeper which is ideal for larger living spaces. The Gel memory foam sleeper mattress will allow you to host guests overnight. Simple design elements like rolled arms and wooden feet keep this piece from overwhelming your space. 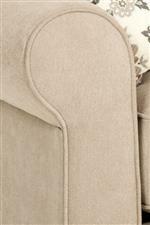 With many fabric options available, you are sure to find one that will look perfect in your home. 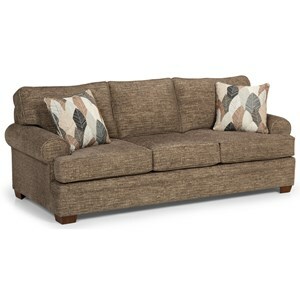 The 283 Casual Queen Gel Sofa Sleeper with Rolled Sock Arms by Sunset Home at Sadler's Home Furnishings in the Anchorage, Fairbanks, Sterling, Alaska area. Product availability may vary. Contact us for the most current availability on this product. 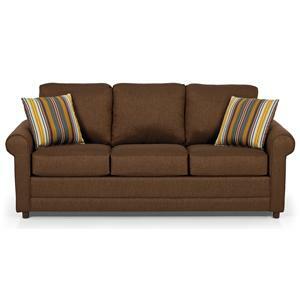 Transform your living room with the comfortable 283 upholstery collection. 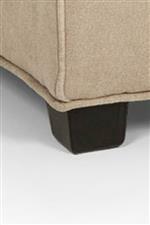 Thick cushions and feather pillows offer tranquil comfort and the rolled sock arms provide casual style to each piece. 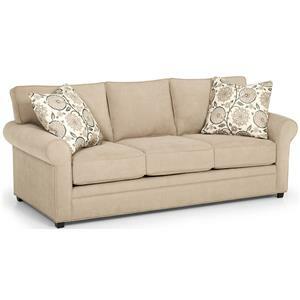 Add ample seating to your space with a sectional sofa or keep it simple with a smaller piece. 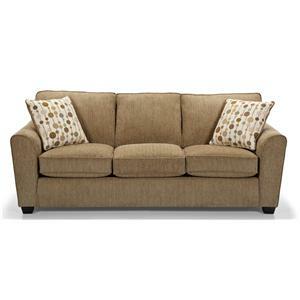 Multiple fabric options are available, making it easy to choose the right one for your living room or den. 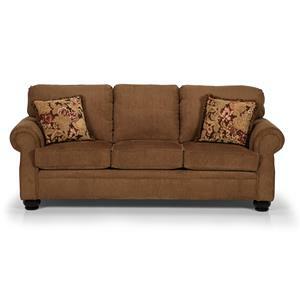 The 283 collection is a great option if you are looking for Casual furniture in the Anchorage, Fairbanks, Sterling, Alaska area. 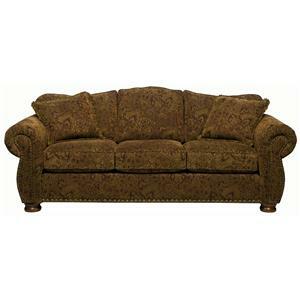 Browse other items in the 283 collection from Sadler's Home Furnishings in the Anchorage, Fairbanks, Sterling, Alaska area.